Bullion related coins continue to lead the most active issues in the coin market. Even with the instability of the metals market, buyers are quite interested in acquiring Gold, Silver, and Platinum coins to help offset their concerns over the weak economy. Coin shop dealers from around the country are reporting that generic U.S. Gold coins, especially $10 and $20 Gold, are very popular at this time. Add in the Modern Gold and Platinum coins, these coins make up a huge portion of coins dealers are selling today. This week’s Moderns Wholesale Market Dealer Price Guide indicates a very mixed market. There are advances and declines throughout every series with most of the changes appearing in $5 and $10 Gold Commemoratives and Modern Gold and Platinum coins. Even where there are declines within a series, coins are still actively sought at the new levels. Premiums are retreating slightly but robust demand continues to make supplies just a little short. 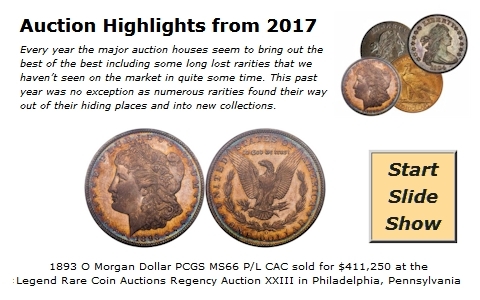 Modern Half Dollar and Dollar Commemoratives are showing many declines in the Mint State and Proof 69 & 70 issues. We are finding more inventory available and sales are created only at discounts of previous wholesale levels. Several of the PR70 Commem Dollars fell the past couple of weeks including, the 1992 W White House, 1994 S World Cup, 2000 P Library of Congress, 2001 P Capitol Visitor Center, and 2004 P Edison. This may be a good opportunity for those collectors looking for the highest grades to add to their Registry Sets. We have just added the Modern Buffalo series to our online price guides and the 2008 issues are now available. Many prices are listed for active grades, more prices will be added when reported. Prices for Modern Buffaloes will appear in the next Moderns Edition of the Weekly Dealer Price Guide.